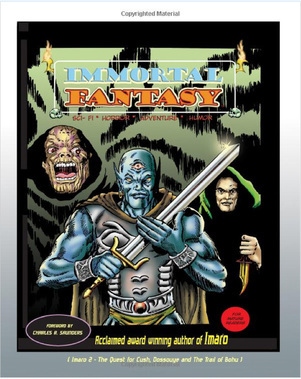 Prepare to enter the world of Immortal Fantasy. Kotas,the Dragon Lord in two amazing adventures,Pozitron, the techno-cosmic warrior as well as : Blood and Scapegoats, A Junkie's Delight, The Secret Wonderland of D.H.Fudley and bonus Sword and Sorcery tale " The Jar" starring The White Raven. Introduction by Charles R. Saunders,acclaimed award winning author of Imaro ( Dossouye, Imaro,The Quest for Cush and The Trail of Bohu. ) and an afterword by : Jemir Johnson ( 5 shots) winner of the 2008 Younity Guild of America award. 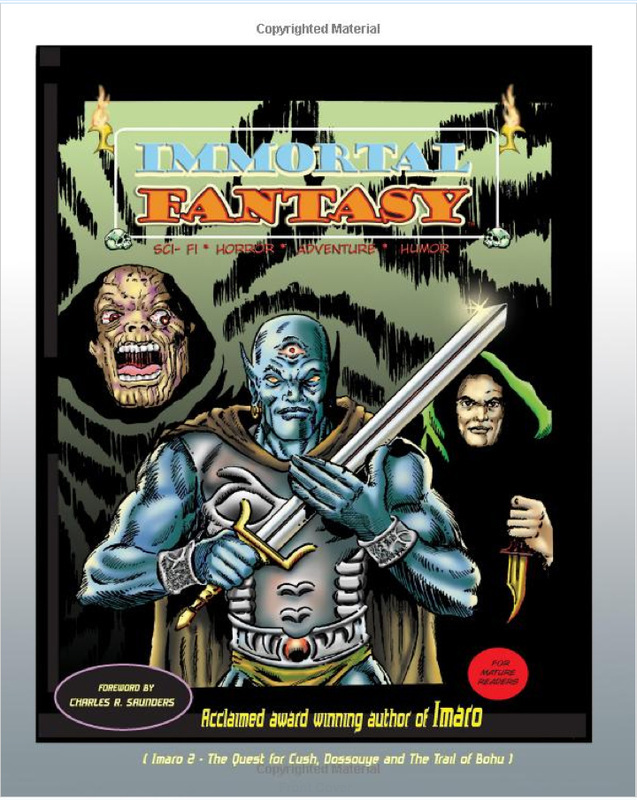 Immortal Fantasy TM and © 2011 by Winston Blakely. All rights reserved. Magic,Mischief and mayhem rule in this strange universe-a world inhabited by an heroine on a life-or-death mission to save our universe and her homeworld known as "Satu". Meet Scorpia--or Little Miss Strange as her friends & foes call her. She's a black alien sorceress who is also a time traveller...Scorpia is about to embark on a search for The Alpha Triad, a mystical device that can restore time and order to her universe. Little Miss Strange TM and © 2011, Winston Blakely. All rights reserved. 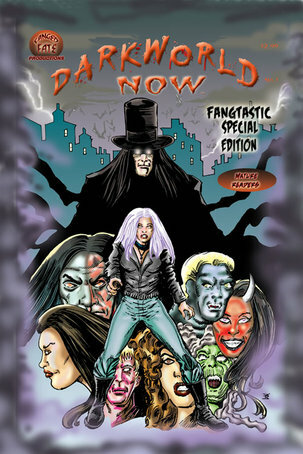 DARK WORLD NOW concerns the adventures of the vampires LYDIA and TOM DARKSMITH and their malevolent enemies, including evil vampires, werecreatures, diablors and feeders...After ages of imprisonment, the vampires Lydia and Tom Darksmith have returned. Black hearted creatures such as Vlad Dracula, Elizabeth Bathory, the diablor general Lilith and the necromancer Virgil plan to track them down and destroy them. Dark World Now TM and © Jesse Kahler, Winston Blakely. All rights reserved. 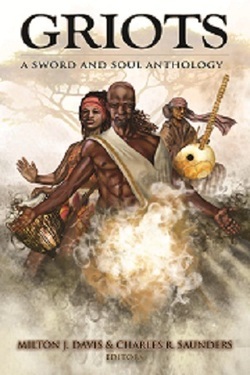 In the 15th century on the African continent the young prince Changa Diop flees his homeland of Kongo, vowing to seek revenge for the death of his father and free his family and people from the foul sorcerer Usenge. He survives slavery and the fighting pits of Mogadishu, eventually becoming a merchant adventurer whose extraordinary skills and determination makes his a legend. From the Swahili merchant cities of Mombasa and Sofala to the magnificent Middle Kingdom, Changa and his crew experience adventures beyond the imagination. Despite his reputation, Changa will not rest until he has fulfilled his promise to his people. The anchors are lifted and the sails are dropped. Let the safari begin! Changa's Safari © 2011 by Milton Davis. All rights reserved. This is the story of a little boy whose mother is dying from Breast Cancer. Series deals with abandonment issues. And issues surrounding death and dying. 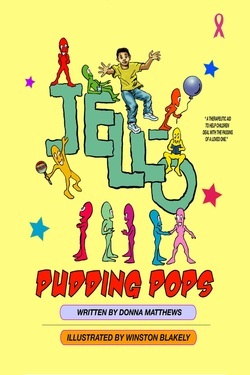 Jello Pudding Pops © 2011 by Donna Matthews. All rights reserved. of three sword and soul novels. Winston Blakely, Stan Weaver, Jr., Wanye Parker and Paul Davey. 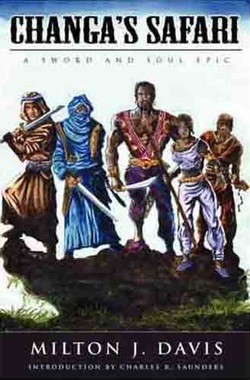 Griots: A Sword and Soul Anthology © 2011 by Milton Davis. All rights reserved.